ATLANTA -- A new report from the Coca-Cola Co. aims to help convenience-store retailers bring more customers into their stores. 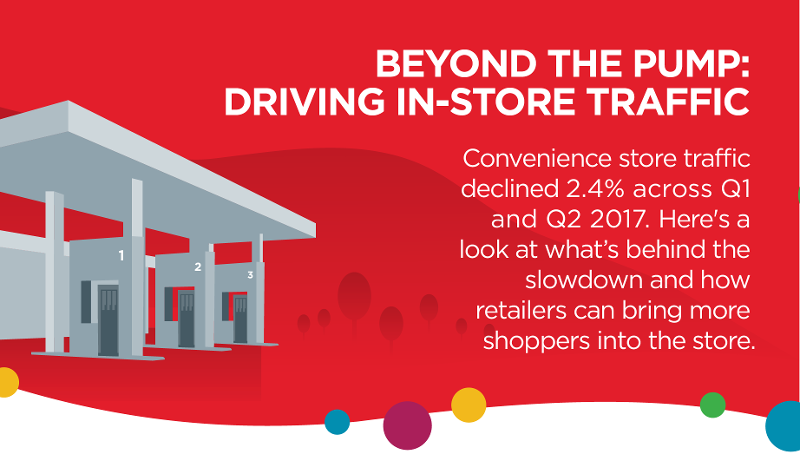 Noting that c-store traffic declined 2.4% during the first half of 2017, the report looks at what's behind the slowdown and how retailers can bring more shoppers into their stores. The report looked at data from several of Coca-Cola Co.'s own consumer surveys, as well as data from Youbrandinc.com, Merrill Lynch, the Hartman Group, Simmons, Kantar and other sources. 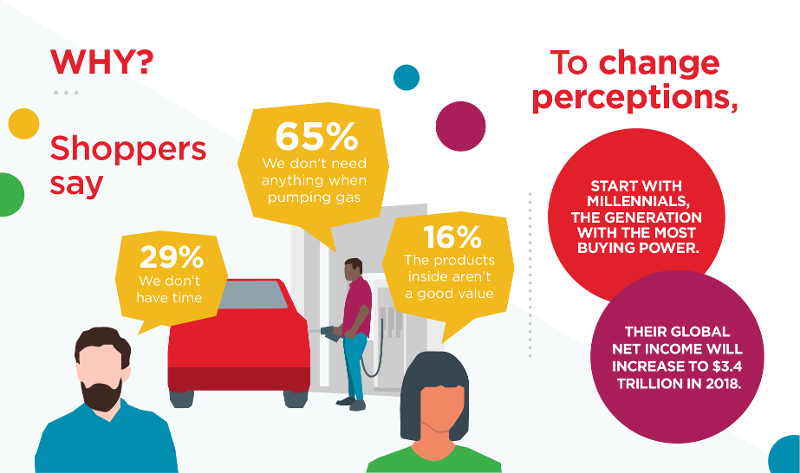 It concluded that 65% of customers who don't venture from the fuel pump into the c-store "don't need anything when pumping gas," while 29% don't have time and 16% question the value of the products inside the c-store. To turn the current trend around, the report suggests breaking down the mental barriers that separate the pump island from in-store. 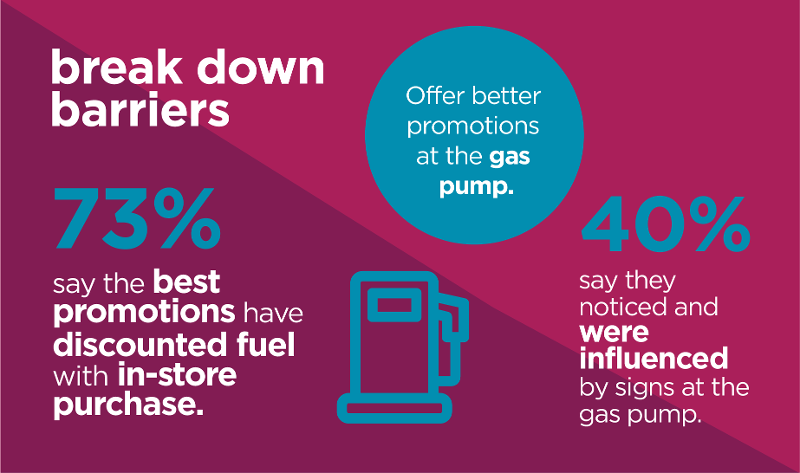 "Offer better promotions at the gas pump," the report says, noting that 40% of consumers say they noticed and were influenced by signs at the pump, while 73% say the best promotions include discounted fuel with an in-store purchase. 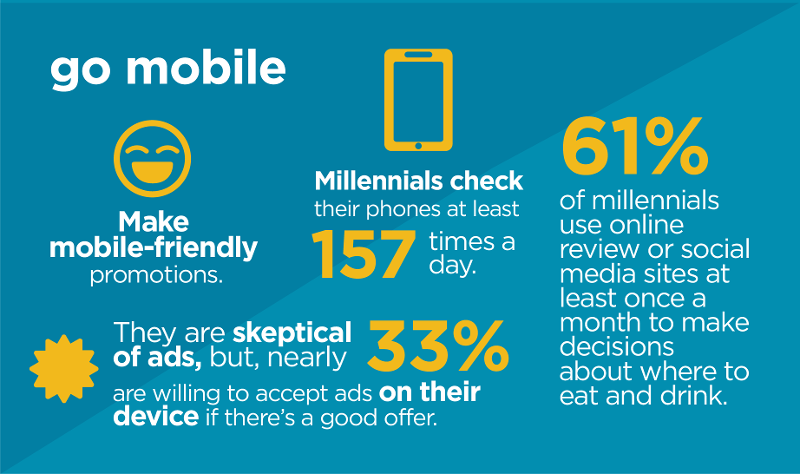 Mobile-friendly promotions are proving popular with millennial-aged consumers. According to the report, millennials check their mobile phones at least 157 times a day. While most are skeptical of ads, 33% are willing to accept ads on their mobile device if the offer is good. Also, 61% of millennials use online review or social-media sites at least once a month to determine where to eat and drink. Retailers also should appeal to adventurous eaters, the report said, by offering discounts on out-of-the-ordinary foods or beverages. This can make a store a destination for innovation. 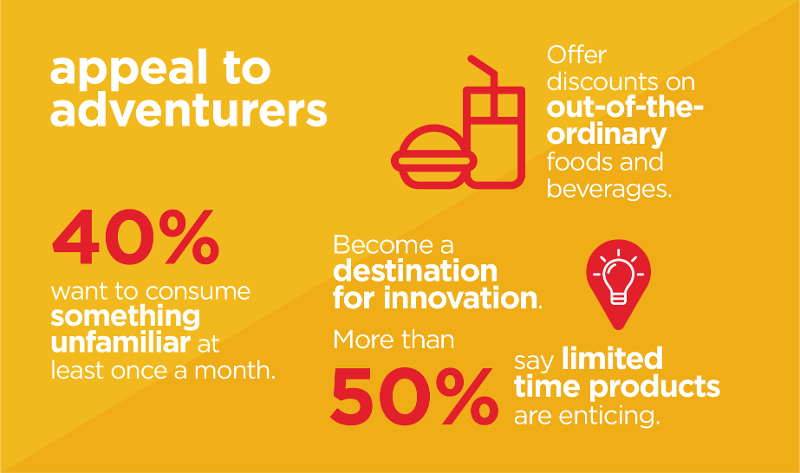 According to the report, 40% of millennial consumers eat or drink "something unfamiliar" at least once a month, while 50% said they find limited-time offers (LTOs) enticing.